My husband thinks these earrings look like squares twisted inside out. These are the same size but they tend to tip to one side when they're on the card being photographed; the one on the right has tipped to the right, and my photographer gave up after several tries and went on vacation (they're both the same shape). 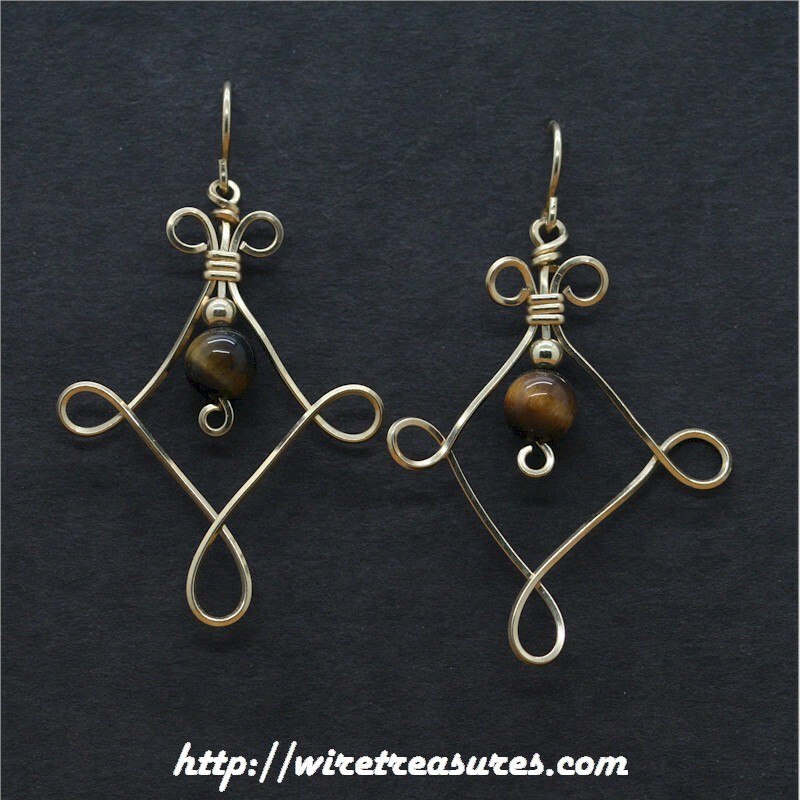 6mm Tigereye Jasper beads accent these earrings. You are visitor number 5,239 to this page.